Whether you're dabbing your blade in it or onto an arrow, poison in Skyrim has always been pretty useless. 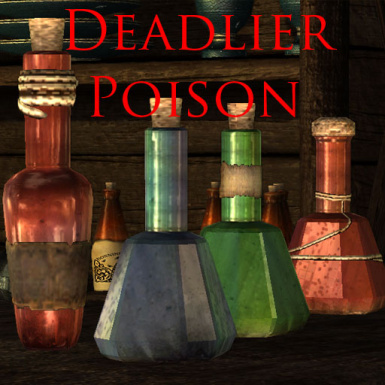 This simple mod changes that and makes poison more deadly and readily available to people who aren't willing to spend hours become a master alchemist. This gives the player a satisfying new method of killing enemies. The stronger poison comes at a higher price however, so you better get saving! If you wish to contact me, add me on steam: Øñîöñ ?ô?